Create a lasting keepsake for you or a loved one with a custom portrait, made specifically from scratch just for you. The picture shown is an example of what I can provide for you. Please read below for information on how to order your portrait. Feel free to email me at ash@ashes.graphics if you have any questions. 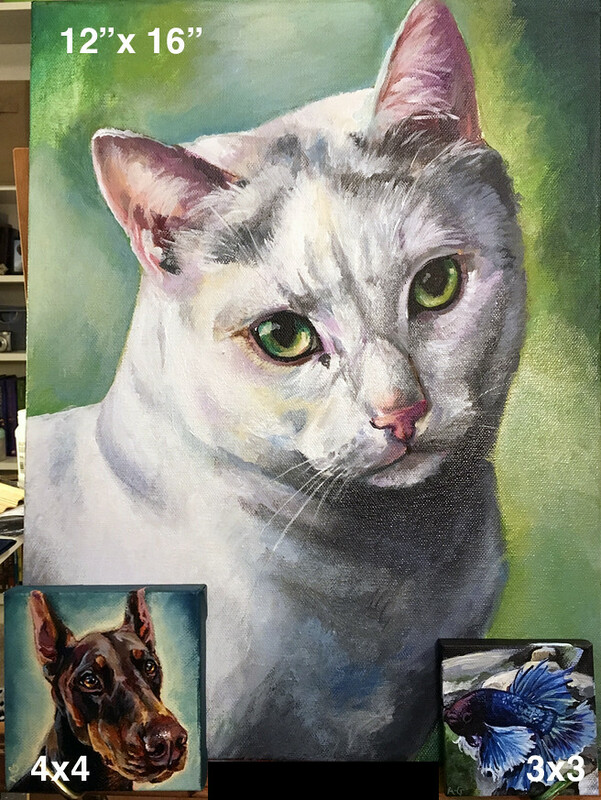 Your commission work will include a detailed 9.5″ x 12″ freehand painting of your pet. 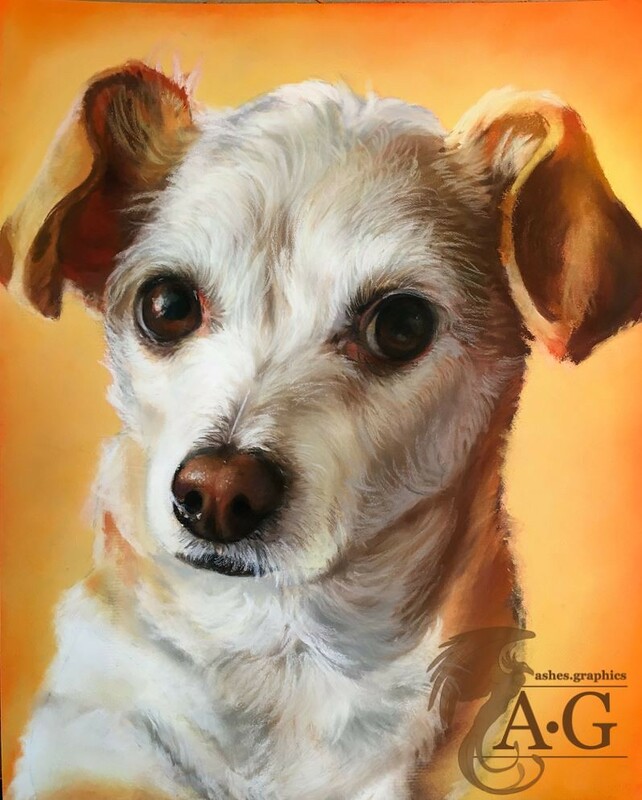 Due to the nature of soft chalk pastels, your portrait may not be as detailed as my hyper-realistic Custom Pet Portrait and will show texture. 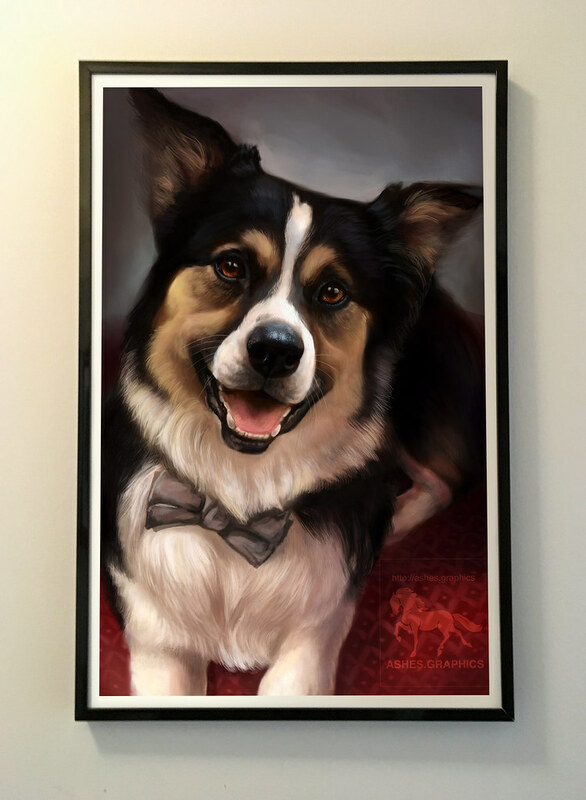 You will receive one (1) portrait of any one pet with a simple background. This portrait listing is for one subject only. If you wish to add an additional subject, please purchase the additional character add-on. For a detailed background, you may also purchase the detailed background add-on. 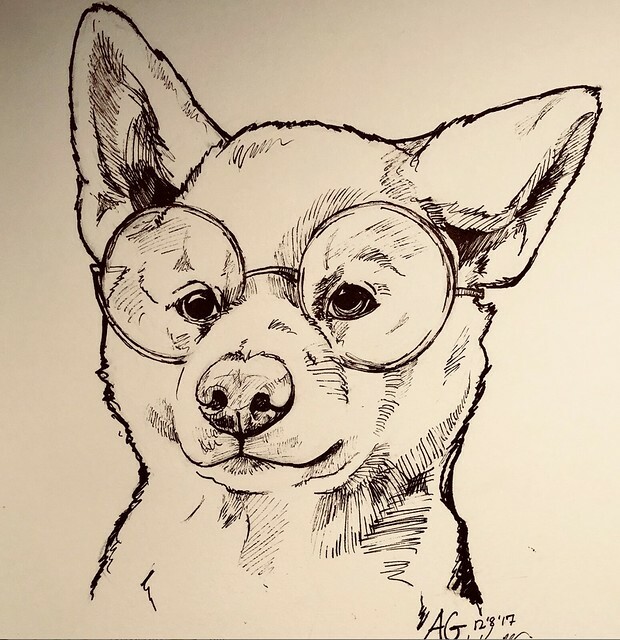 In order to make your portrait, I will need a photo of your pet! I prefer these photos to be as clear and high resolution as possible. The more detailed photos you send me, the better and more realistic your portrait will come out. If you do not have a specific clear photo that you would like me to focus on, it is best if you can send me as many clear photos as you can and I can tell you which photos are helpful or would look best. This portrait will take approximately 2-5 weeks, with additional time for shipping. You will be quoted a time estimate when we discuss your portrait together, and you can tell me then if there is a time constraint. Rush orders may be available, depending on my workload, for a small additional fee. Please consider your location as well for shipping, portraits can be shipped overnight but it is much more expensive. International orders cannot be rushed due to customs. Send me 2-4 clear, well lit pictures of your pet and any ideas you have for the bust portrait. Choose one that I can focus on or send several, and I can tell you which I can use. You may then email me to begin the process. Together we will discuss the details, and once we agree on specifications I will ask you to purchase this listing. If you cannot afford the price up front and prefer to make split payments, you will need to purchase the Start-up Fee which will go towards the final cost of your portrait. The start-up fee only covers the cost of materials necessary to create this pastel drawing. Once the portrait is complete, I will send you a picture of what I have. Upon your final approval and full payment, it will be on its way to you! If you have any questions along the way, I am always available through email or the contact form here on the site. My email is ash@ashes.graphics and I hope to hear from you soon!